A cotton ruffle trim sock in super fun colors! The perfect girl sock! 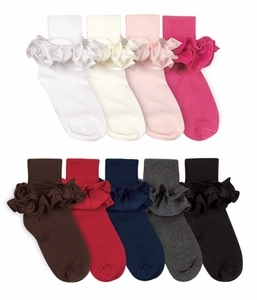 Comes in small sizes perfect for a newborn baby but also comes in larger sizes for little girls!